Square edge laminate flooring gives your floor a uniformly smooth finish without discernible floor plank edges. The effect is a very smooth, streamlined floor that is a joy to walk on. Your square edge laminate flooring comes with all the benefits that make it a sought-after flooring option, including easy installation, easy maintenance, and dependable durability. 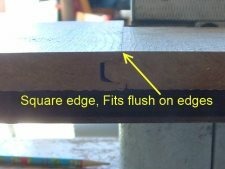 Square edge laminate flooring is a solid choice when you're looking for a reliable, and visually refined, wood flooring alternative. Find your floor now - experience the difference that square edge laminate flooring can offer. Explore our high-quality laminate flooring available at unbeatable pricing through BuildDirect. 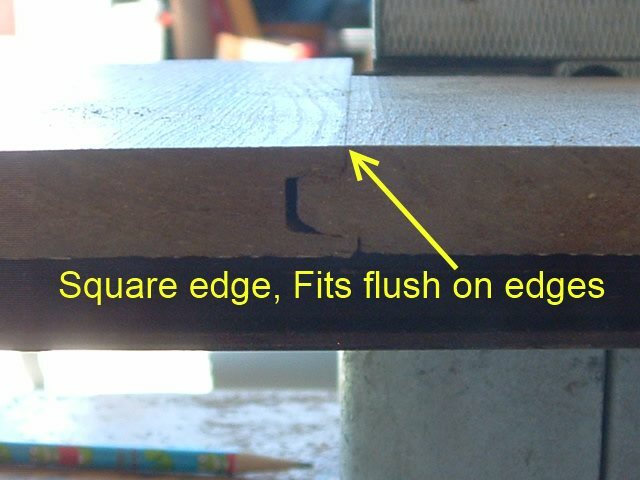 In this photo you can see the way the square edge laminate connect together. This is the 14mm Toklo laminate.